The color white is known for its purity and cleanliness. It's a versatile color that can be paired with any other color, so you can add a sassy pop of red or a charming pink accent to any of these designs. These white homecoming dresses range from simple elegant looks to dramatic beaded styles that glimmer from all angles. Prom Dress Shop has a beautiful selection of gorgeous white prom dresses for the 2019 season, ranging from flattering fitted silhouettes, mesmerizing A-lines, fun and flirty short dresses, and many more. Step out of your comfort zone and wear an enchanting fresh shade of white to your senior prom. 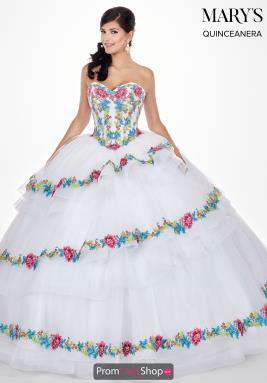 Shop today and receive your gown with free shipping and no tax outside Illinois!